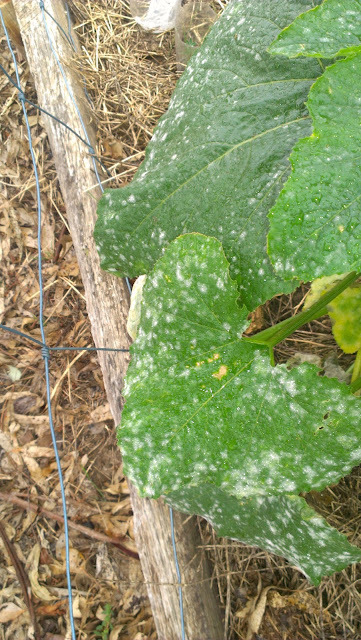 That's it, I have had it with the powdery mildew on the zucchini. Greenskin 3, the last of the three zucchinis I planted in succession this year, is too mould and spotty and it is time for it to go to the great compost bin in the yard. With zucchini season over for the year, and the end of Zucchini Tuesday what can I say in summary? 1. 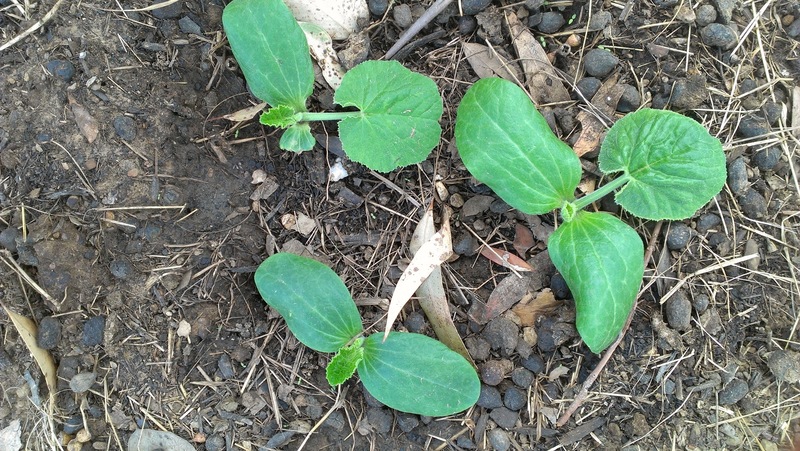 Zucchinis are tougher than they look - Greenskin 1 toughed out a 4 hour move and then being transplanted as a mature plant into a brand new bed with poor soil. Greenskin 2 and 3 coped with the hottest summer on record with limited water. That they survived is remarkable. That they produced any fruit at all is pretty amazing. I didn't get many fruit, it is true but surviving all that abuse proves that it is a bit wonder vegetable as far as I am concerned. 2. Zucchinis survive so well because they create their own shade - Well, that's my theory anyway...all those big shady leaves. They can wilt in the heat and bounce back when the sun retreats. I reckon it would be several degrees cooler under a zucchini, and therefore less evaporation. 3. 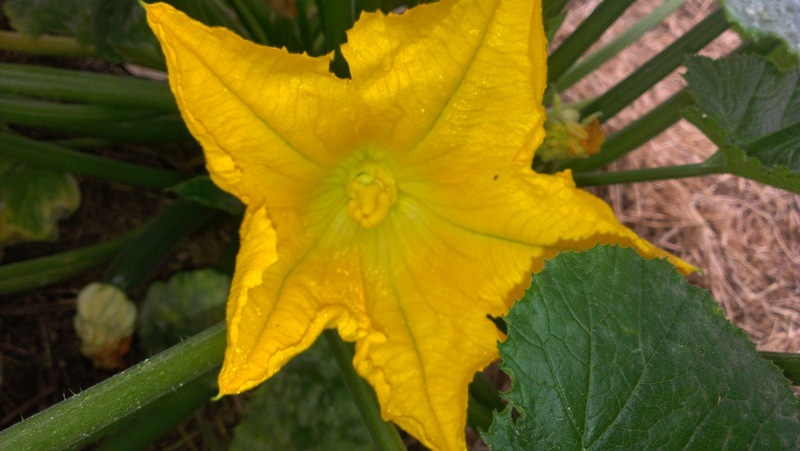 Zucchini flowers are beautiful - Big, blousy, bright yellow with massive stamens and stigmas and then they shrink back to cute bulgy butter-coloured blobs. I really must go about stuffing flowers next season. I have never attempted it, it always seemed too much bother, but I want to take it on, at least once. 4. I like eating zucchini - I really do. It just takes some thinking to make zucchini meals interesting. I have really enjoyed reading about your zucchini recipes this season. This season, despite the fact that I have had very few zucchinis, I have added to my own list of recipes which can be found here. 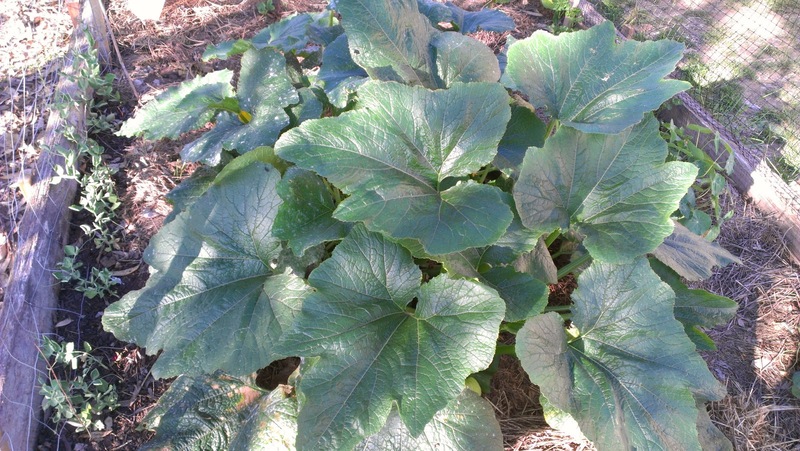 And my zucchini plans for next year? I will have a go at growing three different colours of zucchini - yellow, dark green and light green - for colourful salads and a multi-coloured crack at the class 'Three zucchinis under 18cms' at the Gundagai and Adelong Agricultural Shows. Northerners - I hope your future zucchini / courgette season goes well and hope that these recipes from the south help you deal with your glut. Given the amount of cabbages I have planted, I might have to do a Cabbage Tuesday, I might need some inspiration in finding enough recipes for the potential glut. Until next season - love your zucchini. Oh thanks for taking part and for all the good recipes.. It as your yellow zuke that has inspired me! 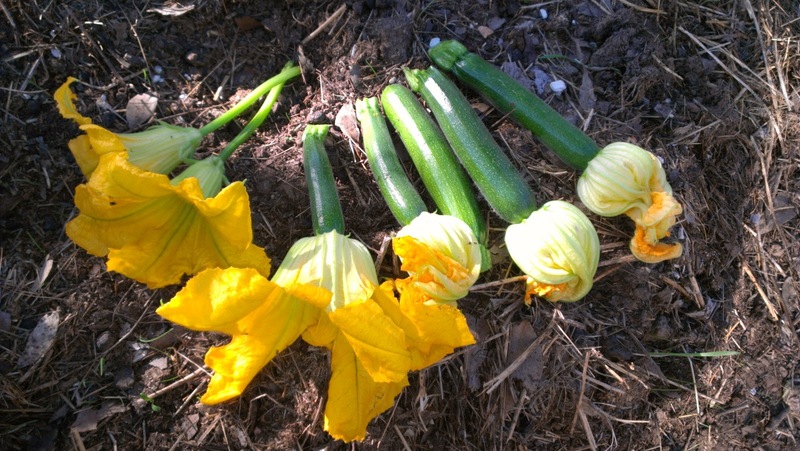 I second Jen - thanks for hosting Zucchini Tuesday - its been awesome and highly educational. I want to grow yellow zucchini next year. I've tried two or three years in a row now and the plants never seem to come good. Maybe next year is the year! That's funny, I wonder why the yellow one was more difficult to grow? We can both try next year and see hope we get on. I do enjoy a good stuffed flower so I would definitely recommend giving them a go.